Enjoy a beautiful day on the Apple Greens Golf Course in Highland for the 2018 HealthAlliance Golf Classic. A continental breakfast prior to tee-off will prepare you for the 18-hole, 4-person scramble tournament followed by lunch on the course and a barbecue buffet awards dinner with prize drawing. The course is located at 161 South Street, Highland. Please register online at FoundationUpdate.org or call 845.334.2760. Chill out to warm hearts at participating Dairy Queen locations in the Hudson Valley and Fairfield County. One dollar or more of proceeds from every Blizzard treat sold will support Maria Fareri Children’s Hospital, a member of the Westchester Medical Center Health Network (WMCHealth) and Children’s Miracle Network Hospitals. Locations include Middletown, Newburgh and Wappingers Falls in New York and Bridgeport, Fairfield, Monroe, Stamford and Stratford in Connecticut. For more information, visit mariafarerichildrens.org/cmnhospitals. The Winged Foot Golf Club in Mamaroneck, one of the most acclaimed courses in the country, hosts this tournament to support Westchester Medical Center, the flagship of the Westchester Medical Center Health Network (WMCHealth). The full-day event includes morning shotgun, hole-in-one prizes, raffle, silent auction and an awards ceremony with dinner. For information and tickets, visit westchestermedicalcenter.com/golf, or call 914.493.2575. 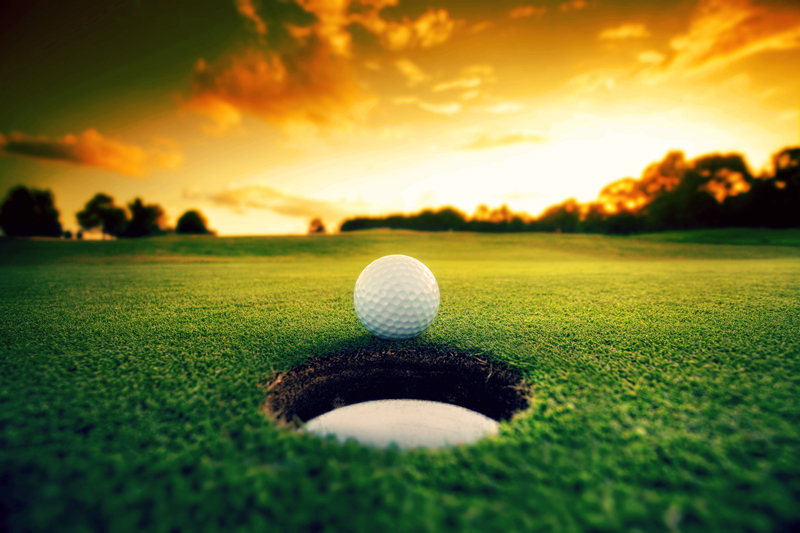 Enjoy a day on the greens for a good cause at The Bon Secours Community Hospital Golf Outing, taking place at the prestigious High Point Golf Club in Monatgue, NJ, on Monday, August 27. Proceeds from the day of golf, dining, raffles and an auction will benefit Bon Secours Community Hospital, a member of the Westchester Medical Center Health Network (WMCHealth). For more information or to reserve a spot, please visit bonsecourscommunityhosp.org/golf, or email golf@wmchealth.org. Putt and play for a purpose. This day of golf and tennis at Warwick Valley Country Club in Warwick supports St. Anthony Community Hospital, a member of the Westchester Medical Center Health Network (WMCHealth). For information, call 845.368.5151, or visit stanthonycommunityhosp.org/golf. The largest annual fundraiser for Maria Fareri Children’s Hospital, a member of the Westchester Medical Center Health Network (WMCHealth), this one-mile walk takes place on the grounds of WMCHealth’s Valhalla campus. Now in its 14th year, this free family event draws thousands to support the most advanced care available to critically ill infants and children. Live entertainment, games and activities for all ages round out the day. Learn more at events.westchestermedicalcenter.com/GTD18, or call 914.493.2575. Calling all golf and tennis enthusiasts! It’s time to get ready for the 29th Annual Good Samaritan Hospital and Sterling National Bank Golf & Tennis Classic on Monday, September 17 at The Tuxedo Club in Tuxedo Park, NY. Join medical professionals, patients, community leaders and friends by supporting this event, which will benefit Good Samaritan Hospital, a member of the Westchester Medical Center Health Network. For more information or to reserve a spot, visit goodsamhosp.org/golf or email golf@wmchealth.org. Get down and dirty for a good cause with a 5K obstacle course and fun run that will have you scrambling through mud, racing through woods and navigating fire towers on the campus of Westchester Medical Center, the flagship of the Westchester Medical Center Health Network (WMCHealth) in Valhalla. This fundraiser for the Joel A. Halpern Regional Trauma Center and Burn Center will challenge every level of athlete. For information, call 914.493.2575.